The previous post did not seem to solve the problem can anyone tell me how to solve this??? Hi, Thank you again for your answers. There was an error in the file. Do you know how to change xlsx to vcf directly? If a file containing a list of IDs is provided to this argument, the tool will only select variants whose ID field is present in this list of IDs. The matching is done by exact string matching. The expected file format is simply plain text with one ID per line. PS: filter.xlsx tell me it's not really an excel spreadsheet. Hi, Thank you very much for your answer. It seems my data is a little unconventional. I have a list of snps (in excel format) which I have to source from vcf file and filter into an output vcf file. But an ID is not supplied for each line, so I have to search for them using the numbers of chromosomes and positions. Do you know how can I extract them to vcf format? I am a beginner and would prefer to become familiar with vcf before trying another software like 'GATK' Also, yes the filter file is actually in excel format.... do you recommend a txt/vcf rather than xlsx format for the filter file instead? 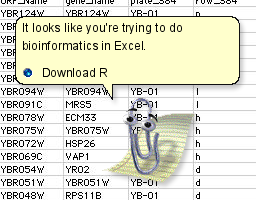 Also, yes the filter file is actually in excel format. there is no magic. Most tools won't be able to use this file. , so I have to search for them using the numbers of chromosomes and positions.